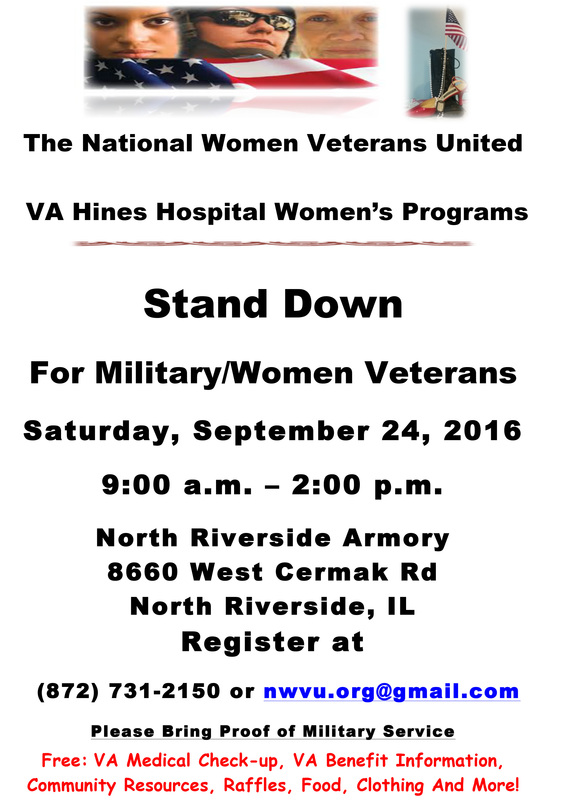 National Women Veterans United (NWVU) Stand Down For All Women Veterans, Saturday, September 24, 2016. This entry was posted in News and tagged National Guard Armory, Stand Down For Women Veterans by nwvuwebmaster. Bookmark the permalink.